Stephen Hawking, considered by many to be the world’s greatest physicist, passed away in the early hours of Wednesday, March 14, at his home in England. 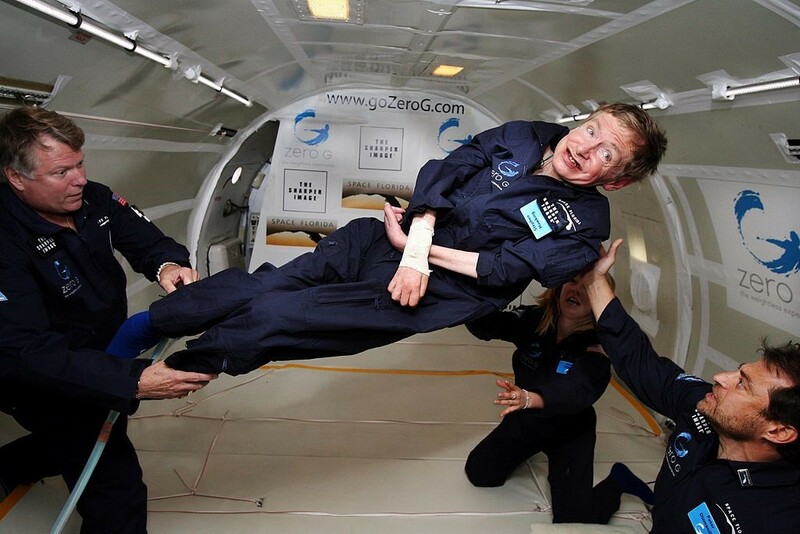 The fact that Hawking lived ‘til the age of 76 is nothing short of astounding. He was diagnosed with amyotrophic lateral sclerosis (ALS), also known as Lou Gehrig’s disease, at 21 years old. Hawking’s impact on the universe and how we view it was tremendous. 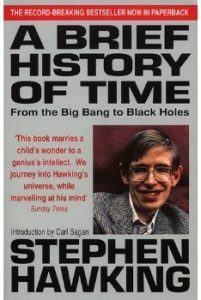 He linked Einstein’s theory of relativity with quantum theory and suggested that space and time would begin with the Big Bang and end in black holes. Furthermore, he discovered that black holes leak energy and fade to nothing at an almost unobservable pace. This phenomenon would later be known as Hawking radiation. While Hawking’s musings on space were largely theoretical, the issues NASA is facing are more practical in nature. 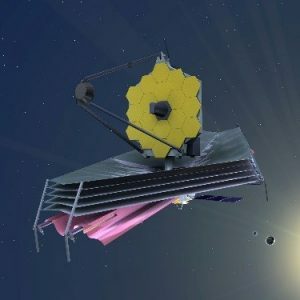 Namely, the giant tasked with exploration of the cosmos is experiencing some issues maintaining the James Webb Space Telescope, NASA’s successor to the Hubble. Data from Hubble allowed researchers to make incredible discoveries about space and time, such as figuring out the age of the universe, which scientists now consider to be about 13.7 billion years old. However, much like Google and Tesla, NASA and its main contractor, Northrop Grumman, seem to be having intense production woes. 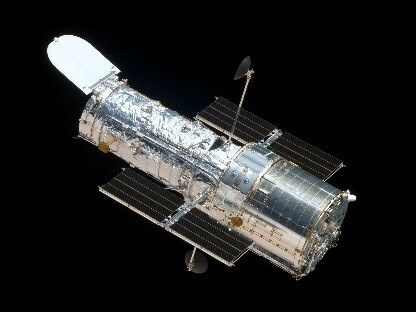 Webb is a much-needed higher-tech version of Hubble, but its costs are ballooning. A recently-released report on the telescope’s launch progress written by the United States Government Accountability Office has an ominous title: Integration and Test Challenges Have Delayed Launch and Threaten to Push Costs Over Cap. Artist rendering of the James Webb Space Telescope in action. In closing, here is a quote from Stephen Hawking. It comes from an interview in Der Spiegel in October 1988: “We are just an advanced breed of monkeys on a minor planet of a very average star. But we can understand the universe. 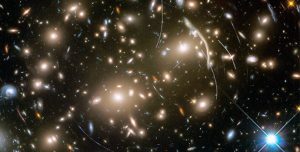 That makes us something very special.” Here’s hoping that we can continue to explore and understand the universe, despite whatever difficulties may arise. If you are interested in welding as it relates to the aerospace industry, be sure to check out both AWS D17.1, Specification for Fusion Welding of Aerospace Applications, and AWS Learning’s D17.1 Online Code Clinic. 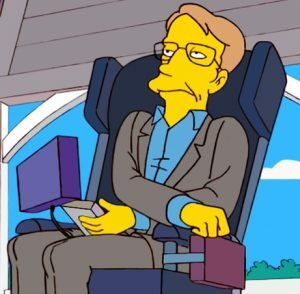 Hawking as portrayed on The Simpsons. He played himself in several episodes. 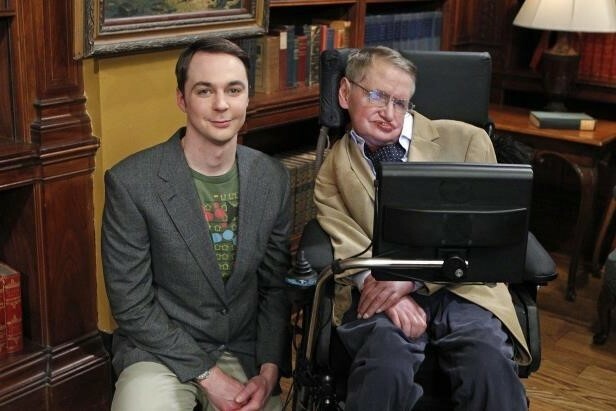 On set with Jim Parsons of The Big Bang Theory. Hawking on a zero gravity flight in 2007.